Dr Giselle Bosse is Associate Professor and Director of the Research Master European Studies at the Faculty of Arts and Social Sciences, Maastricht University. Her research focuses on the EU’s relations with countries in its closer and wider neighbourhood, with a particular emphasis on EU policies aimed at the promotion of democracy and civil society through the Eastern Partnership (EaP) with Belarus, Ukraine and Moldova. Her work also examines the influence of non-state actors on EU policy towards autocratic regimes and the legitimacy of EU foreign policy making through the lenses of critical theory. 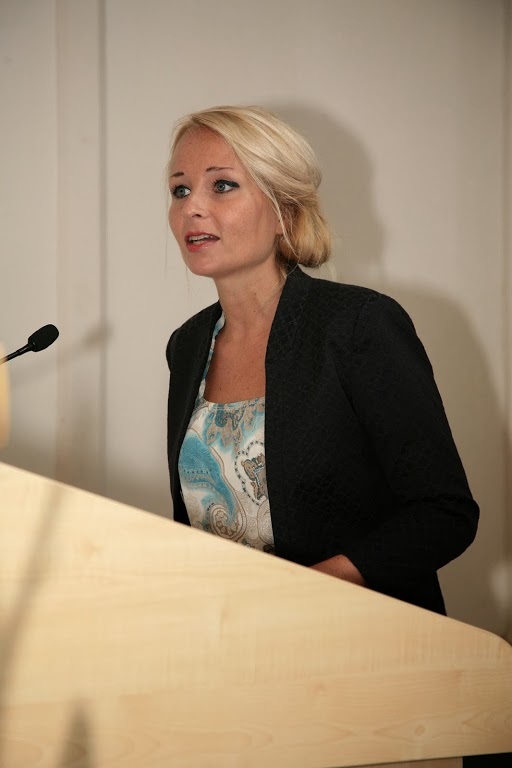 Dr Bosse was awarded a VENI Research Grant from the Netherlands Organisation for Scientific Research (NWO) for her project on: ‘Explaining Europe’s failure to deal with autocratic regimes: Which actors make and break effective democracy promotion?’ (€250.000; 2013-2016), and an NWO ASPASIA Research Grant for her project on: ‘Sending European citizens to the battlefield: Who decides on EU Security and Defence Operations?’ (€200.000; 2018-2022). Bosse has published her research inter alia in the Journal of Common Market Studies, Geopolitics, Europe-Asia Studies, Cooperation and Conflict and with Manchester University Press. She frequently presents her work at leading think tanks in Europe, and has contributed to several commissioned studies for EU institutions. She regularly appears as an expert commentator in the media, including Euronews, Deutsche Welle, AFP, Libération or L1 Limburg. Dr Bosse is founder and coordinator of the research colloquium ‘The Politics and Governance of Administrative Reform in Central and Eastern Europe’, hosted and funded by the Netherlands Institute of Governance (NIG) (with Dr Veronica Junjan, University of Twente). She was visiting professor at the Diplomatic School of the Armenian Foreign Affairs Ministry in Yerevan (2013, 2018) and has been visiting professor at the C ollege of Europe in Bruges since 2014, teaching a course on ‘The EU’s Eastern Partnership: Policy, Peoples and Regional Power Politics’. Bosse holds an MA degree from the College of Europe (Natolin) and a PhD from the University of Aberystwyth, UK. (2017). Live interview on L1 radio show ‘De Stemming‘ on the election in Germany, 24 September 2017. Recording available here. (2017). EU Normative Performance: A Critical Theory Perspective on the EU’s Response to the Massacre in Andijon, Uzbekistan. East European Politics, 33 (1): 56-71. (2016) Markets versus Morals? Assessing EU Arms Exports to Autocratic Regimes in its Closer and Wider Neighbourhood. In Gstöhl, S. The European Neighbourhood Policy in a comparative perspective: Models, challenges, lessons. Routledge: 282-302. (2016) The EU’s Eastern Partnership with Moldova: A ‘Best-Case’ Scenario for EU Security Community-Building?. In Rieker, P. External Governance as Security Community Building. Palgrave Macmillan: 49-77 (with D. Baltag). (2016) European Union Policy towards Belarus and Libya: Old and New Double Standards? In Cierco, T. The European Union neighbourhood: challenges and opportunities. Routledge: 83-98. (2016) Workshop in Maastricht: ‘The Role of Non-State Actors in the EU’s Relations with Eastern Europe and Central Asia’, in cooperation with Michal Natorski (University of Liège) and Robin Dirix (UM), 28-29 April 2016.